Nashville Post showcases our stunning festival lighitng completed in the Gulch! 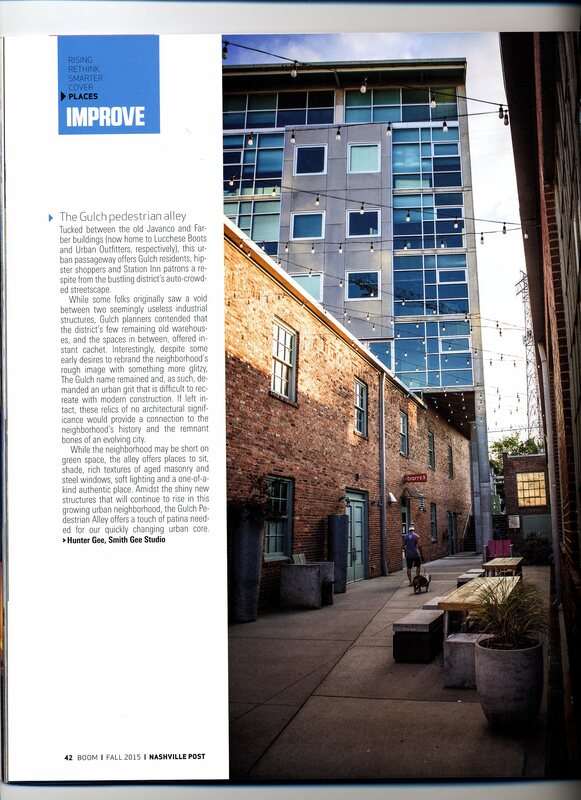 Our permanent festival lighting installation in “the Gulch” recently featured in the Nashville Post. Outdoor Lighting Perspectives of Nashville is super proud to light up the evening sky in many of the most prominent commercial spaces in and around our beloved city.We are humbled and proud to have contributed the outdoor lighting on venerable landmarks such as the Country Music Hall of Fame, Arrington Vineyards and even lighting up the Christmas tree at the capitol building. It’s a pretty big deal to us that Nashville entrusts us to illuminate these important spaces. The Gulch is one of the hottest parts of town with nifty restaurants, apartments and shopping. Its industrial warehouse look of the past is a big draw for hipsters looking for a cool way to spend some time in Nashville, and there is always a ton of fun that can be had in this part of town. We were honored to be asked to add some evening allure with the addition of overhead permanent festival lighting that casts a glow in the alleys during the evenings. 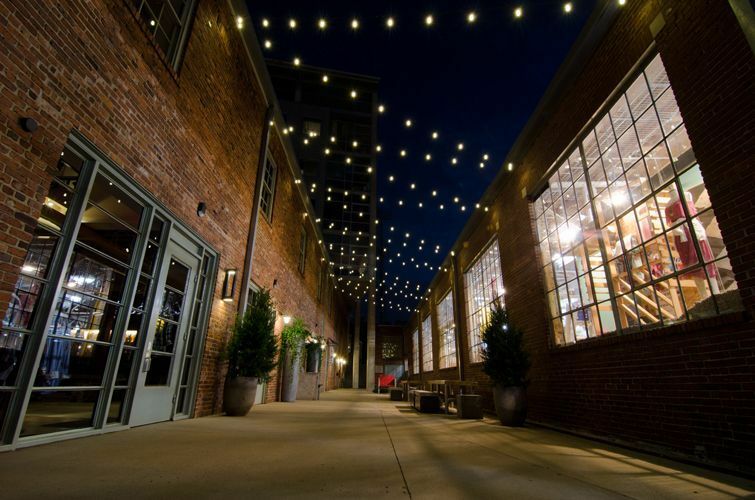 The Nashville Post recently profiled the Gulch with a great photo that clearly showcases these awesome fixtures that look just as striking during the daylight hours, and they definitely fit into the industrial vibe and perfectly match the brick on the buildings and the concrete walkways. 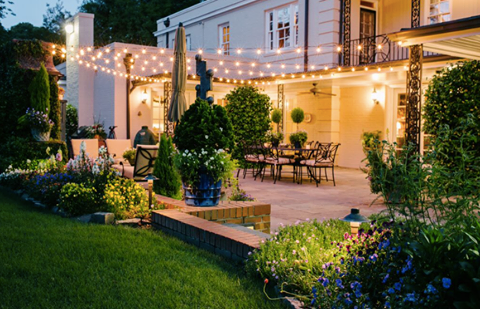 If you think these overhead festival lights are great, we can also incorporate them into any commercial setting such as over an outdoor restaurant patio for a European café vibe or even the clubhouse pool for a pretty watery sparkle after nightfall. Residential homes can also benefit from the same treatment over a patio, within a covered porch or veranda or even over your outdoor kitchen area for a delightful look that will give you plenty of visibility. 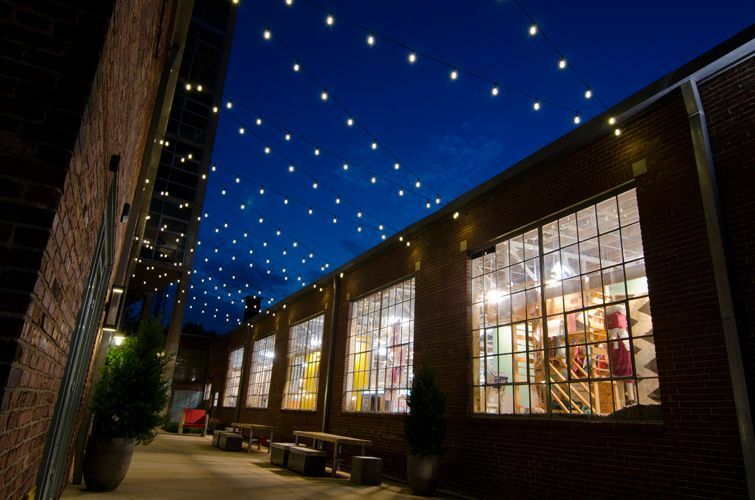 Another look at how our festoon lighting enlivens this commercial space. Our festival lights are commercial grade and made in the USA especially for us. They are meant to last season after season and are suspended by a strong wire so they do not sag over time. We offer clear, white or an array of colors with bulbs, so you can keep the look classic like at The Gulch or jazz things up with a stimulating colorful vibe. Best of all, you can change out the bulbs at any time if you enjoy switching things up during different seasons of the year. We can recreate the same magic in your residential or commercial outdoor space! 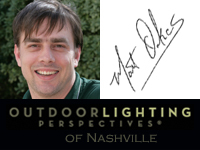 This entry was posted in Commercial Outdoor Lighting, Festival Outdoor Lighting, LED outdoor lighting designs, Nashville Decorative Outdoor Lighting, Outdoor Lighting, Residential outdoor lighting and tagged Festival Lighting in the Gulch, lighting design, lighting specialist, Nashville commercial outdoor lighting, Nashville Festival Lighting Featured in the Nashville Post, Nashville festival outdoor lighting, Nashville festoon outdoor lighting, Nashville permanent festival outdoor lighting, Nashville TN specialty outdoor lighting, outdoor lighting Nashville, Outdoor Lighting Perspectives of Nashville, The Gulch, The Nashville Post recently by outdoorlightingnashville. Bookmark the permalink.